At Chapala Mexican Restaurant, we cherish our cultural heritage and are proud of its contributions to the world. The tortilla is one of them! The tortilla is unarguably a staple item used in many iconic Mexican foods. Whether it’s tacos, nachos, enchiladas or burritos, Mexican food wouldn’t be anything like it is today without the tortilla. The word tortilla originates from the Spanish word tort meaning “cake” and its first documented use was around the mid-1600s. The food itself, a thin flatbread made from dried and finely ground corn, can be traced back many thousands of years to people of the Sierra Madre Mountains in Mexico. It is thought that tortillas were first developed around 10,000 B.C.E., which coincides with the time corn was first domesticated in the area. Corn (or maize) has been a staple food for many Mesoamerican societies throughout history, such as the Aztecs and Mayans. It acted as their main source of energy. During Aztec times, corn tortillas were either ate plain, dipped in a chili sauce or stuffed with meats, beans, squash and other ingredients and were often sold in marketplaces. 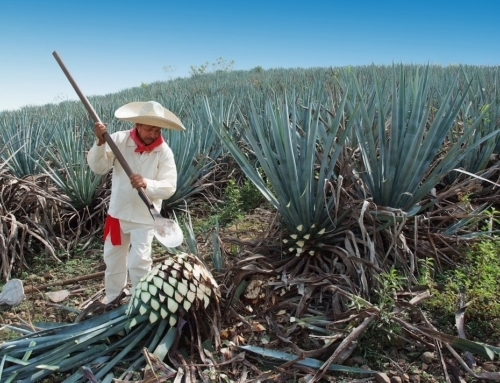 Today, Mexico remains one of the top maize growing countries in the world, growing more than 42 different types. In 1519, Hernan Cortés and fellow Spanish Conquistadors conquered Mexico-Tenochtitlan, the capital of the Aztec Empire in Central Mexico, which would later become Mexico City. During that time, the Conquistadors saw for the first time the flatbread made from corn. It was called tlaxcalli in the native language. The Spanish dubbed them tortillas and they quickly spread worldwide. Once wheat was brought over to the New World from Spain, flour tortillas were created. During the mid-20th century, the rise of Mexican restaurants and the high demand for tortillas in the United States forced the traditional process of making tortillas by hand to be replaced by machines. 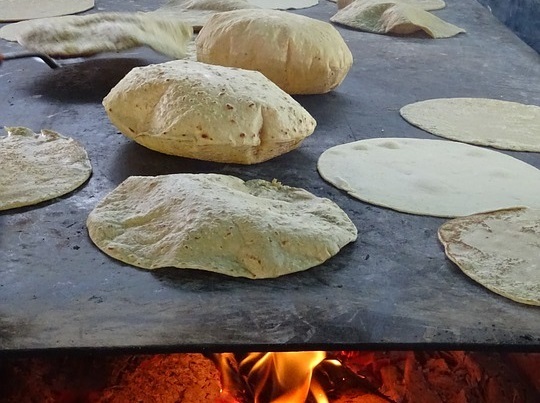 Today’s industrial machinery can produce up to 60,000 tortillas per hour. Maize isn’t merely a crop to Mexicans and people from Central America, it’s a symbol of their culture. Tortillas are one of their most cherished foods and the foundation for many traditional Mexican dishes. To get your tortilla fix, stop by Chapala Mexican Restaurant at either of our two locations in Eugene, Oregon! If you are interested in having a fiesta take place at a specific location in the Eugene area, then be sure to check out our catering service.